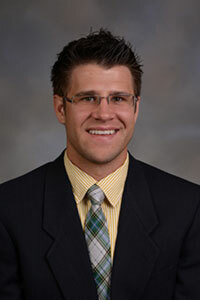 Dr. Lenci is an ophthalmologist at Vision Surgery P.A., in Wichita, KS. Dr. Lenci completed his Ophthalmology Residency at the University of Iowa Department of Ophthalmology and Visual Sciences in June 2016. Lenci LT, Carter KD. Revision of [Graff JM, de la Garza AG, Carter KD. Capillary Hemangioma: 4 month-old female with occlusive vascular lesion of right upper eyelid. January 31, 2007.] EyeRounds.org. August 18, 2015; Available from: http://www.EyeRounds.org/cases/57-capillary-hemangioma-eyelid.htm.